So it appears that even some Republicans just can’t take it anymore. 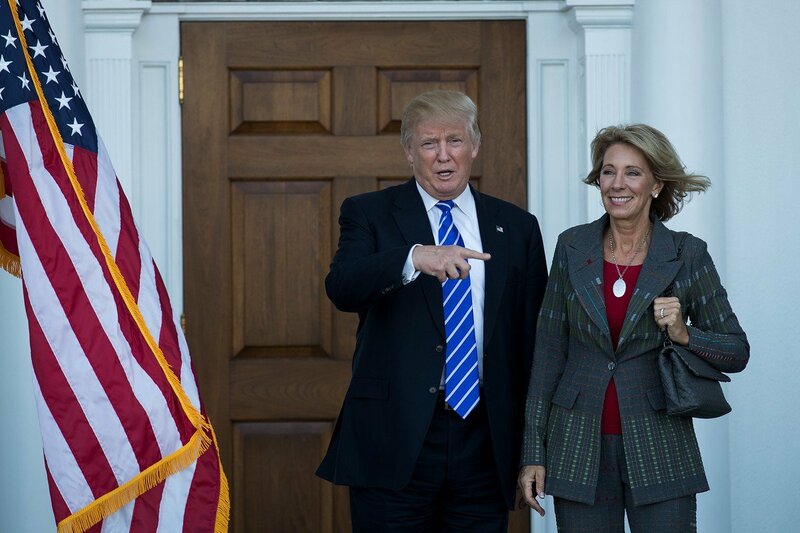 The fact that President Trump’s nominee for Secretary of Education, Betsy DeVos, knows so little about public education and has no experience as a school teacher, administrator, or anything else except being really rich and knowing how to convert that cash into political influence (as in buying Republican politicians), is starting to grate on the nerves of some Senate Committee members who have endured her ignorance for as long as they could bear it without breaking into tears. So far, two Republicans on the Senate confirmation committee have said publicly that they cannot endorse DeVos. If all of the Democrats withhold support, which they likely will, then that gets them to 50 votes, which means VP Pence has to weigh in. Naturally he’ll go the way he has been paid to do, but there’s still time for more defections from Republican team members who are tired of looking like complete and total idiots and would prefer to at least appear to be doing what’s in the best interest of the country. Senators Susan Collins of Maine and Lisa Murkowski of Alaska said on the floor of the Senate that they would vote against Ms. DeVos. “I will not, I cannot vote to confirm her as our nation’s next secretary of education,” Ms. Collins said. Both senators, who voted to advance her selection out of committee, said they had serious reservations about her lack of familiarity with public schools. “I think that Mrs. DeVos has much to learn about our nation’s public schools,” Ms. Murkowski said.